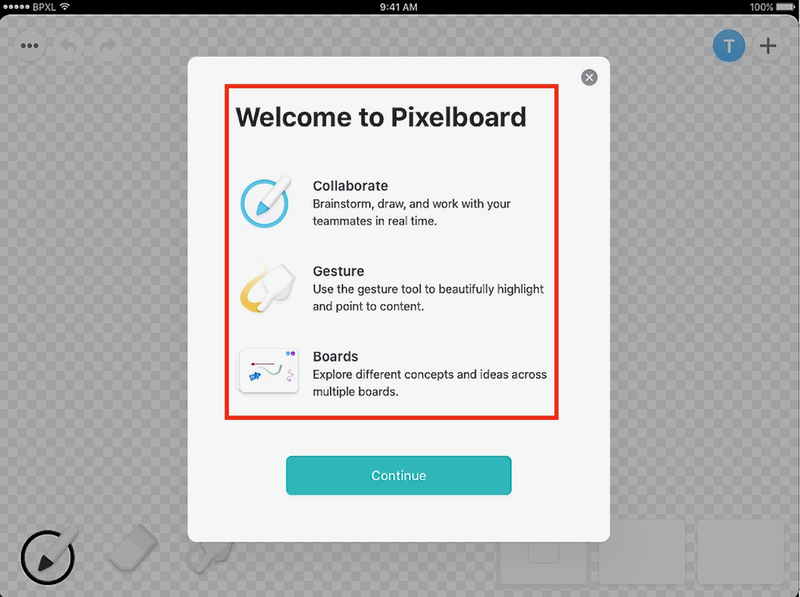 Pixelboard is a collaborative, real-time whiteboarding app for iPad. I worked closely with designers and engineers to create UI copy that’s as warm and inviting as it is concise and helpful. Black Pixel’s team built and launched a new marketing website to support the Pixelboard app. I collaborated with Black Pixel’s designers, developers, and content strategy director to write and edit all of the website copy. I also provided content strategy for the support page. The current support page is text-heavy with a sidebar menu for navigation. To avoid overwhelming users, I suggested changing the navigation to a dropdown menu, with appropriate content couched inside each menu item. Check out the Pixelboard website to see how it all came together.